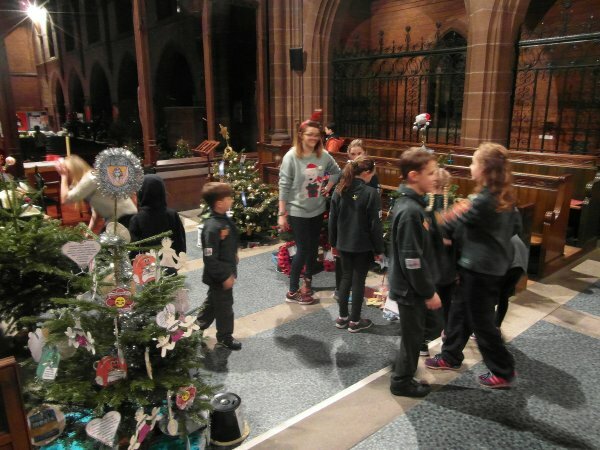 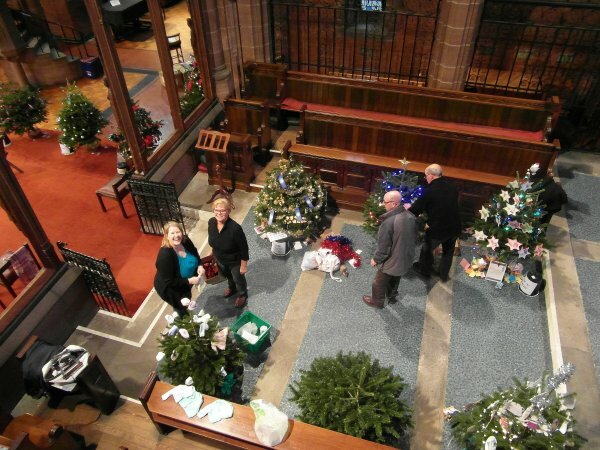 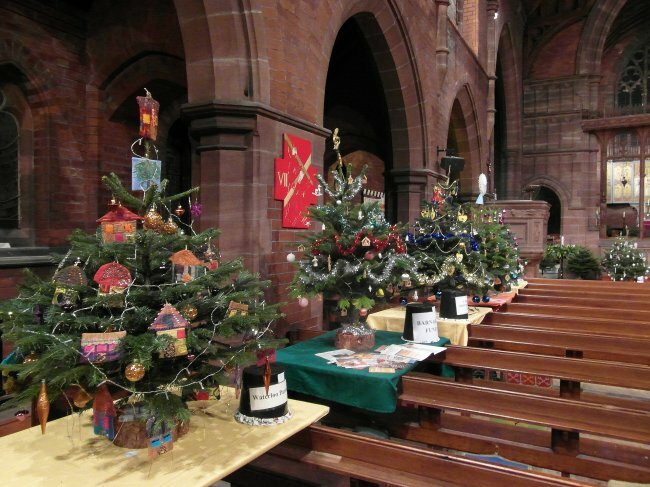 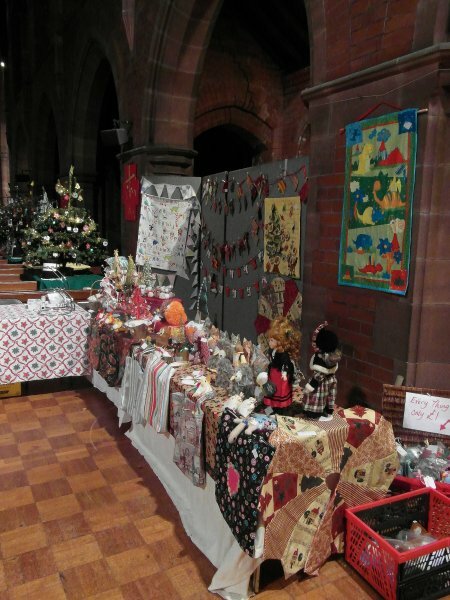 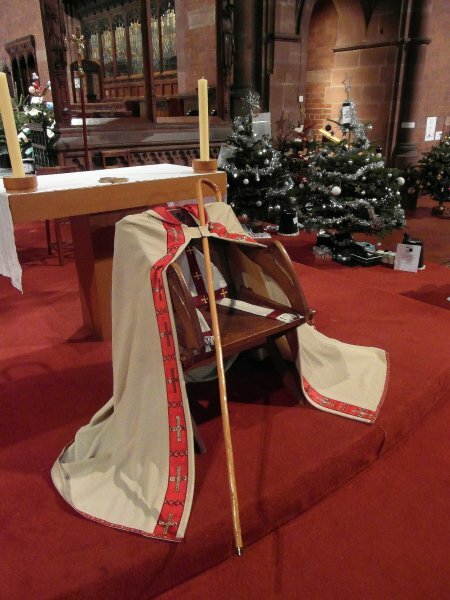 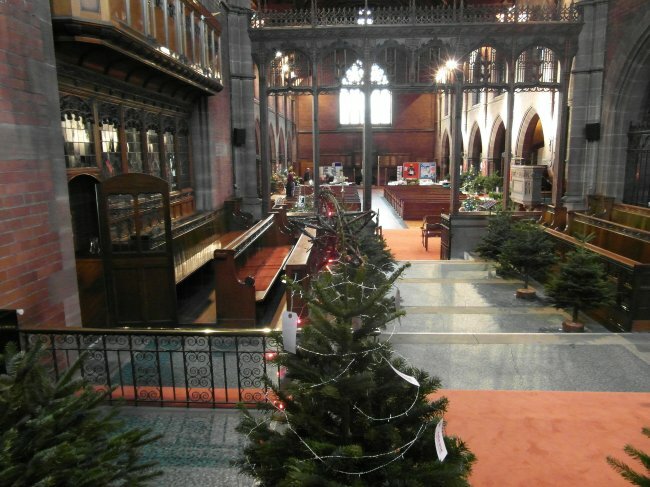 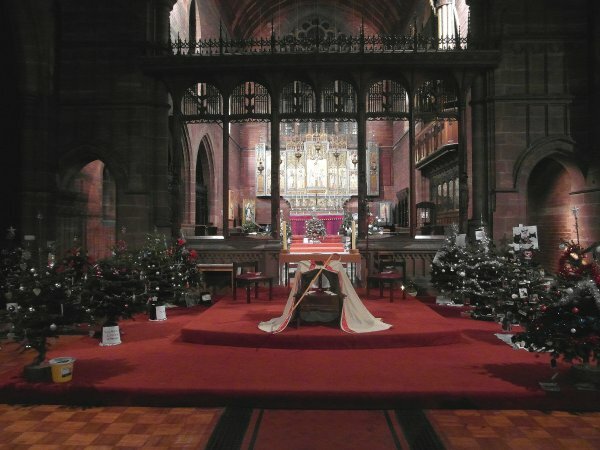 Friday 4th and Saturday 5th December saw steady Christmas Tree Festival activity in church. 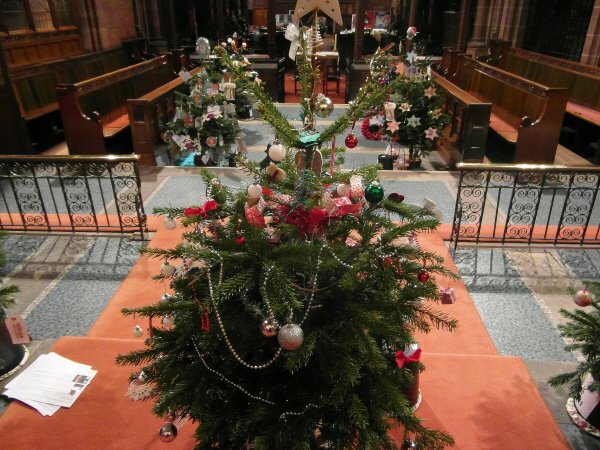 Sponsors and decorators brought their baubles, paid for their trees and got down to adorning them. 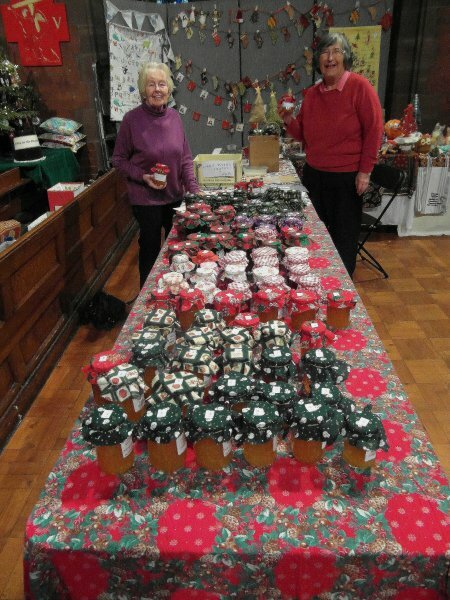 The Jam Factory and the Craft Stall - both regular features of our festivals - set up their wares. 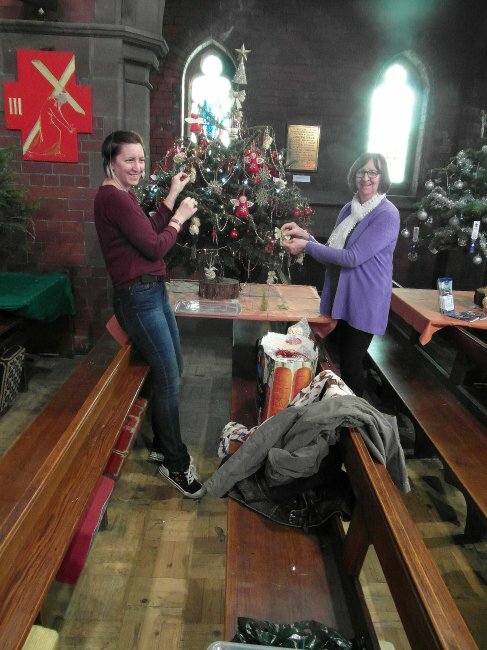 By the end of the day, all was (more or less!) 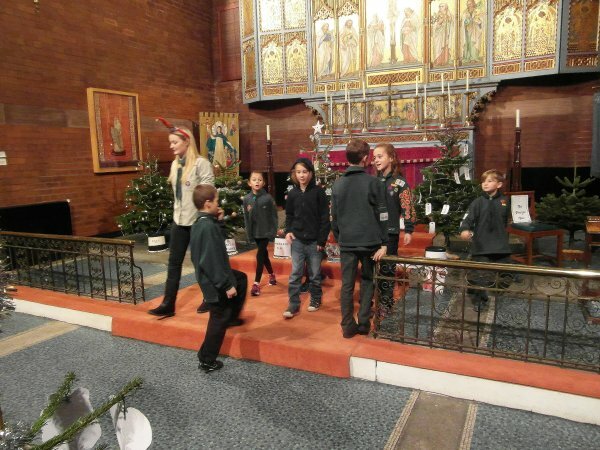 ready, and the Cubs came in for a sneak preview. 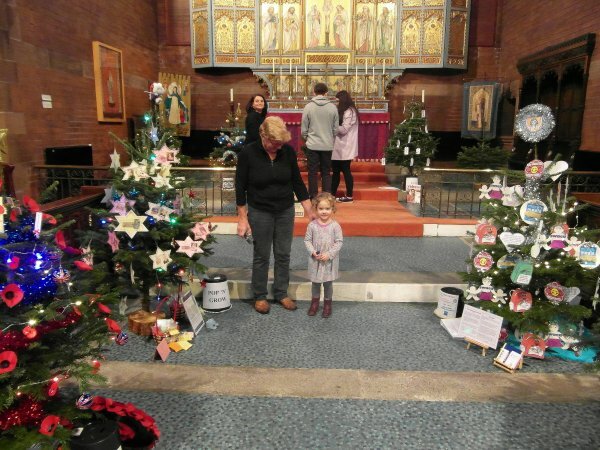 our annual Toy Service and a celebration of St Nicholas (a clue there).